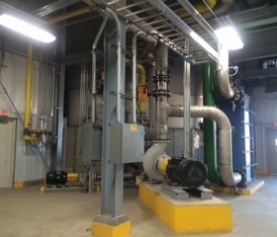 In October 2014, a $550,000 contract was executed with ICM (designer of the original plant) to design and construct a degassing system to remove a portion of the entrained CO2 in the liquid stream that is fed to distillation. By removing this CO2, the vacuum requirements in distillation are reduced, and the entire system can operate at reduced pressures, which decreases energy requirements for the same throughput. This system started up March 10, and appears to meet our expectations. After some additional runtime, an economic analysis will be completed to determine the demonstrated payback. Another benefit of this system is we now have the opportunity to increase the throughput if the rest of the plant is capable. In January 2015, a $5,250,000 contract was executed with Nelson Engineering out of Sioux Falls, SD, to address constraints with the hold time in the early part of the process. 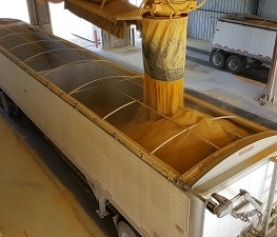 As Homeland continues to operate the plant at about 140% of nameplate capacity, front end residence time to allow enzymes to break down starch and sugars is limited, which can reduce plant efficiency, especially if plant rates continue to be increased. To address this area the decision was made to add a third liquefaction tank and an eighth fermenter. To address this area the decision was made to add a third liquefaction tank and an eighth fermenter. 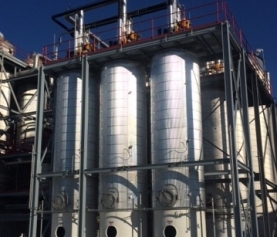 During the first quarter of 2014, plant rates were reduced due to difficulties in moving ethanol out of the plant caused by rail logistics issues. 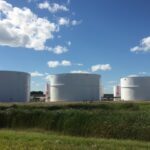 To address this area, the decision was made to add an additional 1.5 million gallon ethanol storage tank and an additional rail loadout. This will increase our on-site storage capacity by 3.5 days and give us the ability to load an ethanol unit train in under 36 hours. In discussions with our ethanol marketer, RPMG, we hope to leverage these logistics improvements regarding railcar and CP locomotive availability. In an effort to minimize overall project costs, Homeland’s management is overseeing approximately $200,000 of additional capital improvements related to flare modifications, fire protection, and computer software and hardware.